Brazilian Jiu-Jitsu has been dynamically developing in Ukraine. Nowadays, in every Ukrainian region, there is at least one sport club specializing in this kind of martial arts. It’s unavoidably obvious that Ukraine has great prospects on the international arena. 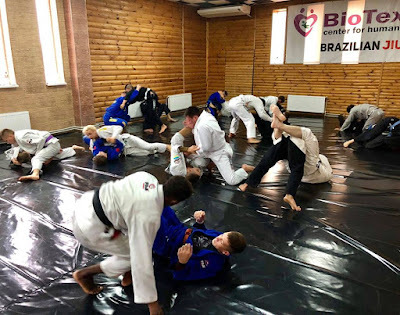 As many already know sports BJJ base “Borets” which has recently opened its door in the Kropivnitskii city is a key example of the professional jiu-jitsu institution. Base includes a spacious wrestling hall, three-storey building with modern renovation, which can accommodate up to 30 athletes at a time, as well as a fine dining room with healthy and delicious food. But the most important thing about this sport base is that experienced Ukrainian athletes share their knowledge by the use of interesting training sessions. In this regard, the head coach of the SC “Borets” has made a proposal: to create a strong, world-famous commonwealth of Brazilian jiu-jitsu in Ukraine. Leaders of all teams, clubs, and academies are invited to participate in the "Jiu-Collaboration" project, regardless of what stage of development they are. Both newly opened small sections and experienced clubs are encouraged to join the project. The only condition is to be specialized in Brazilian Jiu-Jitsu and to have a desire to develop this kind of marital arts in Ukraine.